Barry Forshaw has published a number of reference books on crime and thrillers but is particularly well known for his expertise in relation to Scandinavian crime fiction. His knowledge isn’t just restricted to the written word. He also writes about film and TV and his books are always packed full of useful information. While Scandinavian noir is now well embedded in the British consciousness, crime fiction from other European countries, including those in the Med and Eastern Europe is less popular over here. While one or two authors from each country might might have a decent readership, for example Fred Vargas from France or Italy’s Andrea Camilleri, many other excellent writers remain unknown. Forshaw’s latest book, Euro Noir redresses this by giving us a tantalising selection of authors that, in his opinion, are worth seeking out. Of course, a book about Euro Noir wouldn’t be complete without a section on Scandinavia. To avoid repeating the content of his earlier book, Nordic Noir, Forshaw helpfully focuses on the key writers in each of the Scandinavian countries and also identifies emerging voices that we are likely to be seeing on the bookshelves soon. I’m still waiting for the books of Ragnar Jonasson to be published in English. I was lucky enough to read the first couple of chapters of one of his novels and can’t wait to see how the narrative continues. Of the Mediterranean countries, I was particularly interested in the chapter on Greece, where I used to live. The book gave me some new authors to try, including Alexis Stamatis, and I’m hoping to pick up one of his books when I next visit the country. The book is ideal holiday reading, especially if you plan to travel to any of the European countries mentioned and are looking for local authors to try while you are there. Like all the best reference books, it made me want to read virtually every writer mentioned. And, on another note, I love the cover. I can just imagine sitting in a street cafe reading it. Thanks to the author for my copy of the book. 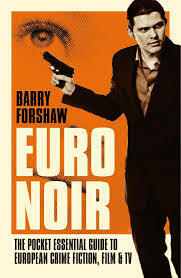 Along with my fellow Petrona judges, I have a short section in the appendices giving my own Euro Noir recommendations. What are they? You’ll have to read the book. Thanks, Sarah, for this helpful and thoroughreview. Forshaw is ccertainly deeply knowledgeable, and this sounds no exception. One for my library, I think. The book sounds to be mouthwatering! Let’s hope it reaches the US without too much of a delay. This sounds good (sigh). Have to find time to read Forshaw’s books. Kathy, they are always interesting reads. 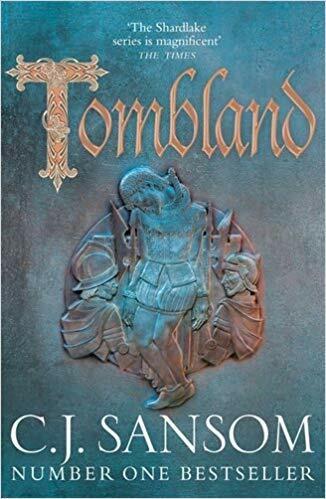 Looking forward to reading this when it is available here. Oh, gosh, Sarah! I’ve got to get this book! I have recently investigated Polish crime novels. I don’t mean investigated, as in I’ve read them, but I’ve been reading about some of them, including those who are emigres to the U.S. and Canada and publish in Polish and then are translated. It’s been a year or so since I looked into this. I hope I’m not making this up! Sounds interesting, Judith and there’s a Polish section in the book which will be perfect for you. This sounds great – I’m always threatening to read more European crime fiction, so a handy guide (with a contribution from you!) sounds just the job. Hope you enjoy it, Moira. Sounds good, Elena. I don’t know that many crime fic reference books, just the ones of my shelves. Maybe we could do a joint post and publish it simultaneously on our blogs. I’ll get in touch via DM on Twitter and see what we can come up with. I do like books about books, so I’ll keep an eye out for it, thanks.